The 37-year-old “Hollywood Divas” star broke the news early Saturday morning (Mar. 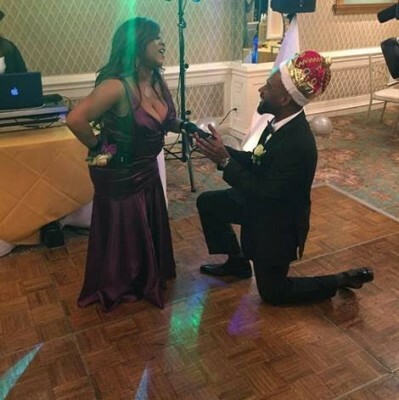 26) on social media, Rolling Out reports, adding that Vaughn posted a few pictures on Instagram, including one she later pulled from page that showed her man on bended knee smiling. “He asked to marry me….and I said yes..” Vaughn wrote. 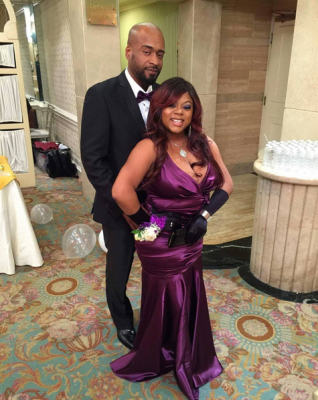 Despite little to no information revealed about her fiancé, “The Parkers” star posted what appears to be a prom-themed party the pair attended, in light of their dressed up attire. Voicing what could be seen as her feeling that the big question would be asked, Vaughn placed the following caption on one of her pictures. Vaughn’s engagement marks the second time she will jump the broom. In 2002, Vaughn married Joseph James. The former couple, who are parents to two children, divorced three years later, in 2005. News of Vaughn’s pending nuptials comes months after she generated headlines in December with an open letter she wrote to her former “Moesha” cast mate Brandy Norwood that was posted on Instagram. In the letter, Vaughn apologized for her actions from back in the day. “@4everbrandy I’m proud of you. For placing one foot in front of the other. For waking up every morning and simply giving it your best shot. for placing a premium on personal growth too,” Vaughn’s heartfelt caption read with a picture featuring Norwood. Earlier this month, Vaughn displayed her slimmed down figure on Instagram. Although she didn’t reveal exactly how much weight she lost, Vaughn did acknowledge that she dropped three sized back in September. To kick start her quest to be in better shape, Vaughn also underwent extensive liposuction to jump-start her fitness goals, a necessary move she says that went toward helping her feel better about her post-baby body. We wish Countess much love, joy, and happiness. Hopefully, she will take her engagement slow, enjoy being committed, while growing and getting to know her partner and husband to be better. From personal experience, we often shine in the eyes if others, once we make physical changes to our appearance to enhance our beauty. Prior to our enhancements, we get little to no attention. Our physical appearance will continue to change as we age. There’s no guarantee that our beauty and physical attraction will last a lifetime. But, unconditional love looks beyond physical beauty, it’s what’s within the heart that counts. Unconditional love remains in tact during brokenness, illness, financial burdens, upset/downs, twist/turns, dark valleys, dark tunnels, trials, tribulations, tornadoes, hurricanes, and storms in life. We wish Countess the best in every aspect of her life. I too know the challenge of being engaged. My life partner and I broke-up 3 times before we had our ceremony. U got to luv yourself first,…all 347 lbs, damaged hair, high blood pressure, and stretch marks on my knees. Once I loved ME, it was on and popin’!!! !